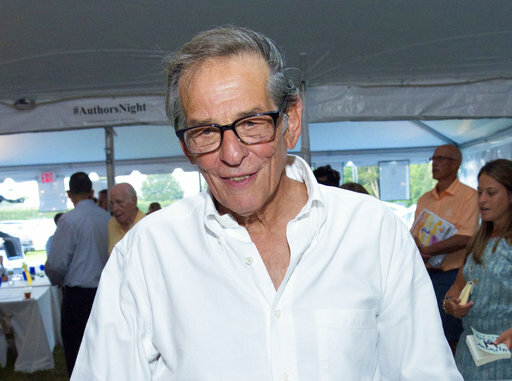 NEW YORK (AP) — Robert Caro’s next project is for ears only. The Pulitzer Prize-winning historian is planning an audio-only release, “On Power,” drawing upon his years as an investigative journalist and his research into the lives of President Lyndon Johnson and municipal builder Robert Moses. “On Power” will be narrated by Caro and released exclusively through the audiobook producer and distributor Audible Inc., which told The Associated Press on Monday that it had set a May 9 release date. Caro, 81, is known for his biography of Moses, “The Power Broker,” and for his epic series on Johnson, which he began more than 40 years ago. All five of his previous books have come out in audio editions, none narrated by Caro. (His books sometimes run more than 1,000 pages.) He is proudly old-fashioned in his working methods, preferring typewriters to computers, and “On Power” should prove a brief diversion from the fifth and presumed final volume about LBJ. No publication date has been set for the book, one of the most highly anticipated releases for a work of history. The previous four Johnson books have brought Caro a Pulitzer, a National Book Award and numerous other honors.